Add style to your windows with the Serena Curtain Rod by Kenney. 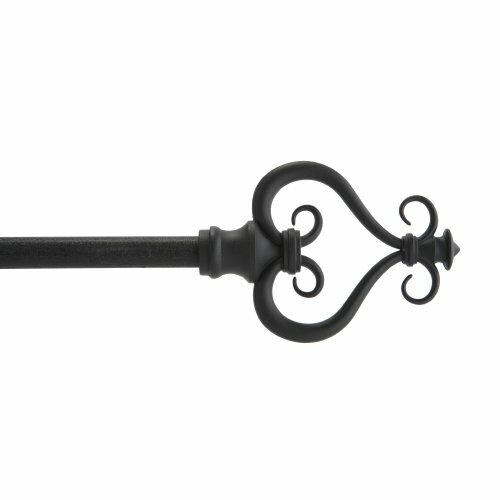 This 5/8" diameter painted metal rod has large-scale decorative thermoplastic finials. The telescoping rod adjusts to fit your window and projects 2 3/4 inches (7 cm) from the wall. Mounting brackets, hardware and instructions are included. Make a bold statement with this lightweight rod from Kenney.